The main purpose of using swivels in your fishing rigs is to prevent your line from getting twisted. There are different swivels that solve this problem with some being more effective than others. Below is a description of barrel and crane swivels and how they solve the problem. Barrel swivels are you basic swivels that you can use to attach two fishing lines together. 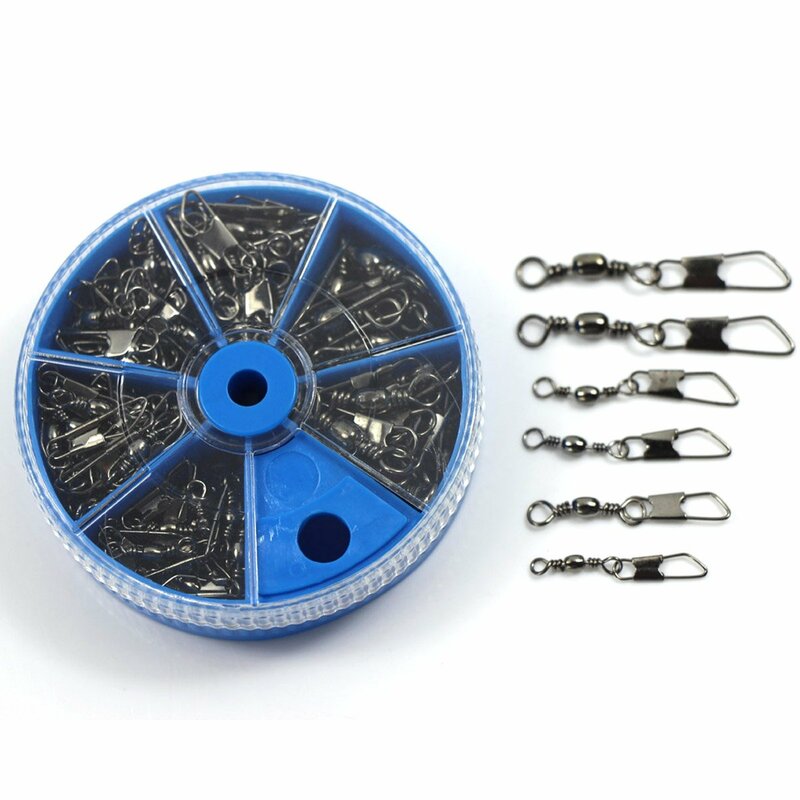 They are the most inexpensive type of swivel therefor they are very popular among fishermen. Barrel swivels are somewhat limited when it comes to preventing line twists. Because of their design there is a lot of friction and they do not spin well when under pressure. That's why they should be used when you want a cheap swivel that attaches your line and line twisting is not too much of a concern. Crane swivels have a much improved design. The eyepiece ends inside the swivel not on the outside. This gives the swivel much better performance under heavy pressure and prevents line twists much better. Because of this feature however, crane swivels are more expensive, but if you want to prevent line twisting it's better to spend the extra cash. Snap swivels made from stainless steel material for smooth rotating action comes in various sizes. Feature fast rolling swivels andhigh quality corrosion-resistant black swivels.